Friday August 11th @ The Copper Owl Strictly Roots & Clean Heart Youth present Wild Thoughts . bringing you the best in REGGAE, AFRO BEAT, HIP HOP , Rn'B and more! 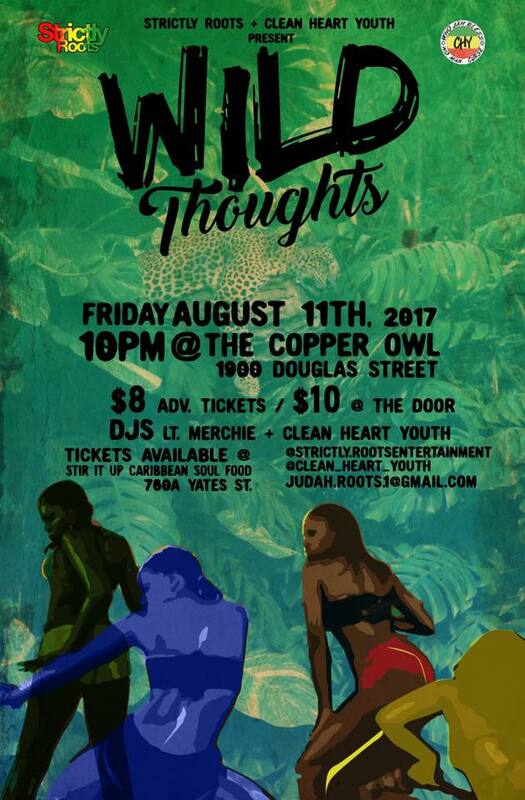 $8 ADV @ Stir it Up Caribbean 760A Yates St. $10 @ door. Doors @ 10 pm.